If you’re interested in getting your hands on the latest tech and connectivity features, then you’ll love the RAM Uconnect system available on new RAM vehicles. Read on to learn about the equipment available to make working or playing in Wahpeton more convenient, and how Uconnect can make you a better, safer driver too. RAM trucks with Uconnect and available navigation have access to a world of information. Use the available in-dash touchscreen interface or voice command to input your destination and get turn-by-turn directions with the super-accurate sensor GPS, which is capable of displaying your location even when your vehicle is in a tunnel or underground parking structure. The system can even guide you to that new restaurant you’ve been dying to try in Breckenridge, thanks to the available points of interest option, with exquisite 3D graphics that make finding your place easy. With SiriusXM Traffic Plus service, you won’t have to wonder if that pileup in West Fargo will impact your drive. Just check the map and adjust your course as needed. The system can even point out construction zones and other issues that could get in your way. You can also opt for the Travel Link service, which can provide information on local and national news, weather, and more, allowing you to plan your day around what’s happening at your destination. Distracted driving is a leading reason for serious accidents in the U.S. New vehicles with Uconnect are working to change that with onboard smartphone integration. Connect your compatible device via Android Auto or Apple CarPlay and access your music and app library with handy voice commands that let you keep your eyes on the road where they belong. Android phones also enjoy an available hands-free calling and voice text reply, so you can stay connected no matter how far from Fargo you get. Entertainment and convenience features are wonderful, but Uconnect really shines when it comes to keeping your family safe and secure. Use the available SiriusXM Guardian feature to call for roadside assistance, remotely start your vehicle, receive alarm alerts if someone tries to access your vehicle without your permission, receive Stolen Vehicle Assistance, and much more. When it comes to taking care of what’s important, RAM Uconnect does it all. 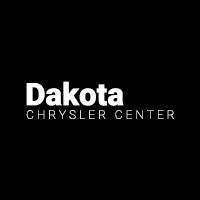 To learn more about the RAM Uconnect system, which vehicles you can find it on, and how affordable adding this tech to your life can be, contact an associate at Dakota Chrysler Center today.